Venezuelans in New York have joined their South Florida and South American compatriots as they call for the ouster of Nicolas Maduro from the country’s presidency. 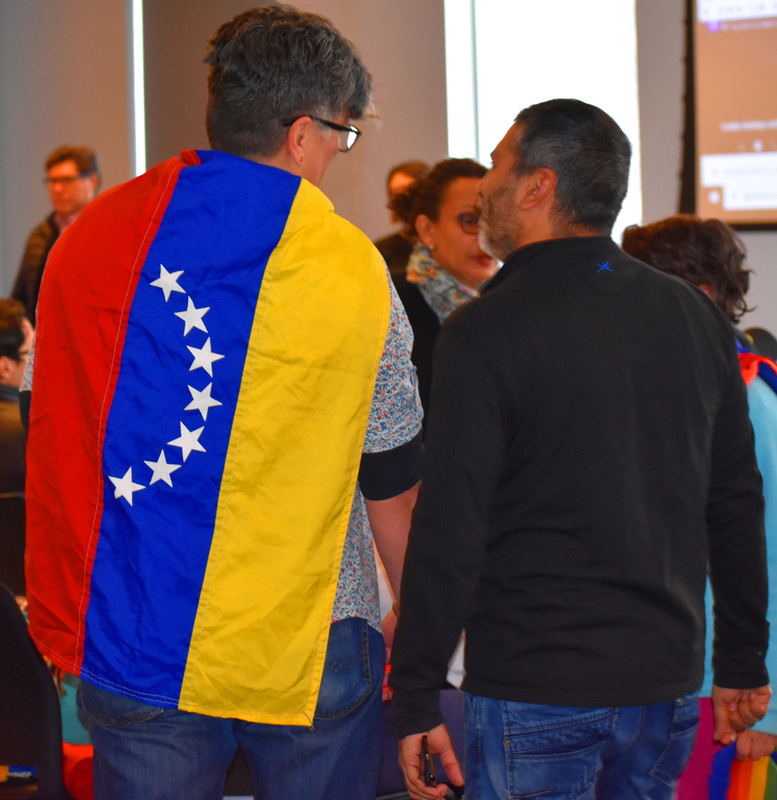 Cheering and waving Venezuelan flags, a standing-room only crowd of several hundred listened Saturday as community leaders urged them to support the movement to push the country toward democracy. “Every Venezuelan organization must come together to help spread the message of what is going on in our country,” said Erick Rozo, who had to flee Venezuela because of his activism there. 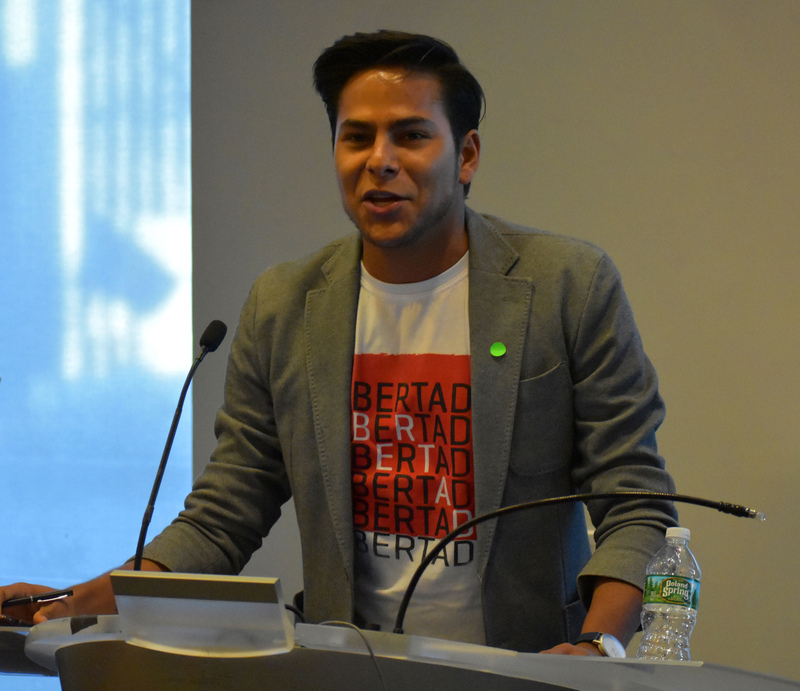 He now leads Movimientos de Libertad, a Venezuelan organization in New York, New Jersey and Connecticut founded in 2017. The Venezuelan economy has collapsed under the weight of Maduro’s socialist policies, with widespread shortages of food, medicine and other necessities. Maduro took office last month after he was reelected in vote widely deemed fraudulent. Juan Guaido, a member of the opposition-controlled National Assembly, is leading a popular movement that has brought tens of thousands of Venezuelans to the street. Guaido has taken the title “interim president” and has been recognized by the United States, Canada and about 20 other countries in Europe and South America. “This is the closest we have come to having a free country in a very long time,” said Irene Sosa, a filmmaker and professor at Brooklyn College. Venezuelans in New York gather to rally in support of interim president Juan Guaido and call for Nicolas Maduro’s ouster. Photo credits: Henry Tamayo. Movimientos de Libertad members gather weekly to support Guaido. “We are very involved with this movement, especially since most of our members have close relatives still living in Venezuela,” said Adriana Acosta, a manager at Teen Vogue magazine. Other organizations have joined the effort. El Cocotero Foundation brings local Venezuelans together to send clothing, medical and school supplies to the eight states in Venezuela where members have relatives. The group meets weekly in the basement of El Cocotero, a family-owned Venezuelan restaurant in Jersey City. 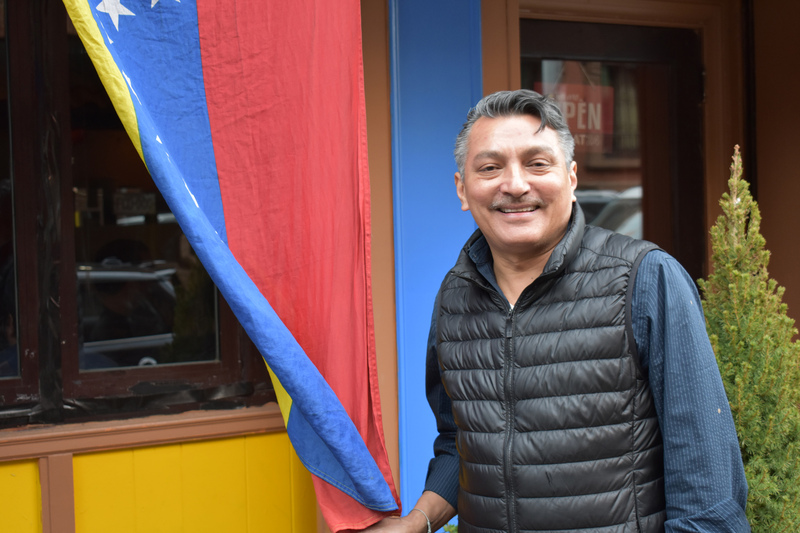 “We all live busy lives trying to make a living in New York, so we send whatever we can afford,” said Luis Quintero, owner of the restaurant and founder of the group, who came to this country 25 years ago, fearing a tyrannical government was about to take over. Luis Quintero came to this country 25 years ago. He owns El Cocotero, a Jersey City restaurant where he and friends gather supplies to send family members. Photo credits: Henry Tamayo. Rozo hopes Guaido and his movement will change that. Henry Tamayo is a reporter in the South Florida Media Network’s New York City Bureau. Next articleTrabas administrativas amenazan estatus legal de venezolanos en EE.UU.